British online investigative group Bellingcat is accusing Russia's Defense Ministry of faking videos of airstrikes on Islamic State targets. The group claims that geolocation tags show the videos were actually shot hundreds of kilometers away, where Islamic State has no presence. 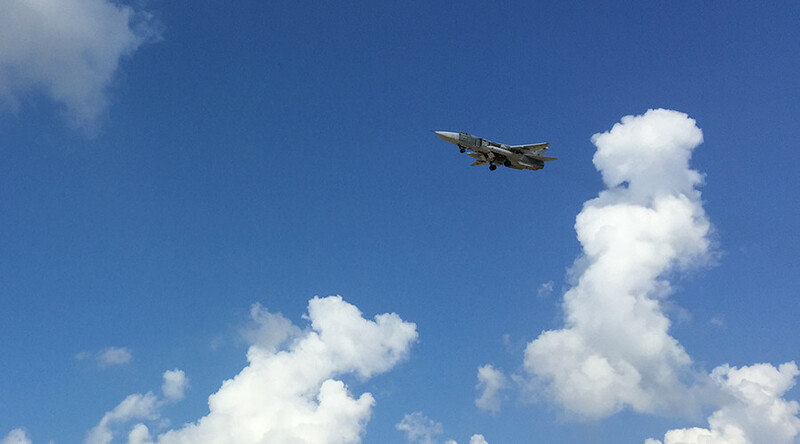 The Defense Ministry has been posting videos on its YouTube channel of airstrikes targeting Islamic State (formerly ISIS/ISIL) militants in locations such as their key stronghold of Raqqa in northern Syria. However, Bellingcat is claiming that the location bombed on October 3 was not the ISIS stronghold, but rather the town of Al-Latamneh, which is over 150 kilometers away in territory not under the control of the terrorist organization. They also say that local groups have their own videos shot on the ground proving it. The investigative group now wants to set up a crowdsourcing effort to try and geolocate every video published by the Russian Defense Ministry. Bellingcat is no stranger to questioning official Russian photographic data, with the group accusing Moscow of altering satellite images from the MH17 disaster. The Malaysia Airlines plane was downed in eastern Ukraine on July 17, 2014, killing all 283 passengers and 15 crew members. At the end of July, Russia’s Defense Ministry released military monitoring data showing Kiev military jets tracking the MH17 plane shortly before the crash. The ministry also posted satellite images of nearby areas where Kiev had had its air defense units deployed, but Bellingcat believed these were fake. The organization’s claims were based largely on an analysis of satellite images, performed using the website FotoForensics.com. However, it appears that even the founder of that website is unconvinced of the veracity of the group’s work. @WeBaGeMyghty Yeah... chalk this up as a "how to not do image analysis". In an interview with the respected German publication Der Spiegel, image forensics expert Jens Kriese slammed the investigative group. "From the perspective of forensics, the Bellingcat approach is not very robust. The core of what they are doing is based on so-called Error Level Analysis (ELA). The method is subjective and not based entirely on science,” he told Der Spiegel. “What Bellingcat is doing is nothing more than reading tea leaves. Error Level Analysis is a method used by hobbyists,” said Kriese, who is a professional image analyst and former scientific researcher. The West has been quick to criticize Moscow’s decision to launch airstrikes against ISIS, with US President Barack Obama saying that Russian attacks were actually helping the terrorist group. Meanwhile, there have been plenty of false accusations made against Russia, whose campaign is just a week old. 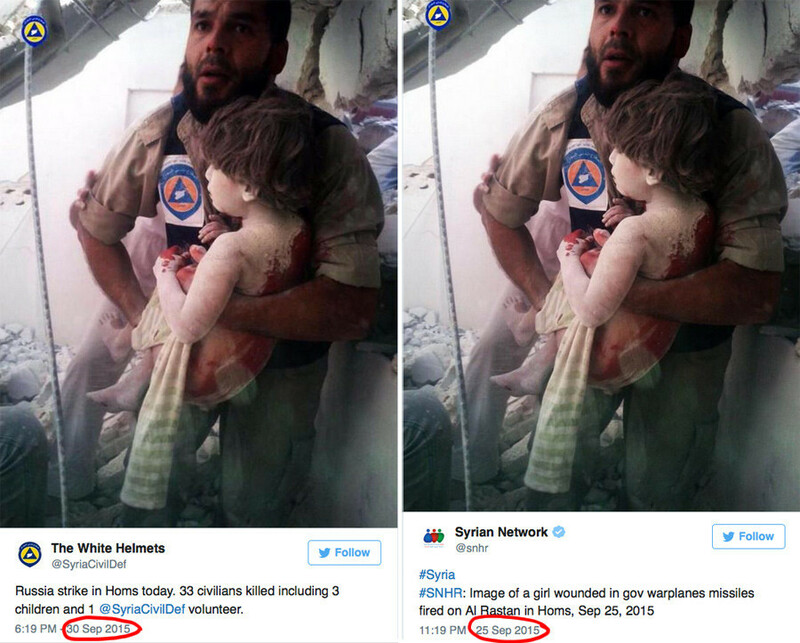 For example, a photo was posted of a Syrian rescue worker carrying an injured girl bearing the description: “Russian strike in Homs that killed 33 civilians, including three children.” As it turns out, the photo first appeared in social media on September 25. The Russian anti-terror operation started five days later, on September 30. Defense and security analyst Richard Galustian, who has worked in the Middle East and North African countries for some 40 years, told RT that the founder of Bellingcat, Eliot Higgins, cannot be taken seriously as he heavily relies on unverifiable and “manipulated” social media sources. “[He] is a complete fraudster. An unemployed internet addict who for ridiculous reasons ‘sells’ himself as an expert … [Higgins] is part of a new generation of cyber armchair sleuths who use open source social media to gather ‘intelligence’ from on the ground,” Galustian said. The danger with Bellingcat’s report is that it reaches a conclusion that does not match the evidence, British journalist Oliver Tickell told RT, adding that its reliability has to be questioned. According to Tickell, such a manner of investigation, focusing on debunking one or another bit of evidence, can “actually lose sense of a narrative as conviction.” It is as important to look at the evidence that was used in a report, as checking the evidence that for some reason was not used there, he said.